Ready? Set, Sell! Does what it says... sell your home! An experienced, talented and most important neutral eye analyzes your home to envision what it could be. 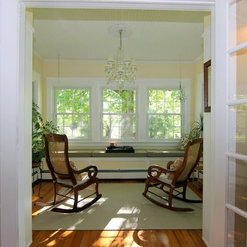 Then the home is transformed to bring out it's best and attract buyers. It works! This is an excellent service that I would strongly urge anyone wanting to sell their home to use. The more help the home needs the more you need this help! Approach this service like you would any professional like a Doctor or Lawyer; you don't have to like or follow the advice but it almost certainly is in your best interest to do so. Laura Baker does know what she is doing when it comes to maximizing the appeal of a home, getting the right price in a shorter time. Laura assisted my husband and I in selecting exterior colors, wood stain and doors for our new Craftsman style home. She was insightful and creative when helping us through the process of picking our 'forever' colors and doors. She was also a good listener which is a priceless skill to have in this industry. We would happily hire her again and again whether it's for color coordination, interior design or staging. We highly recommend Laura to help you on your next project. I had put off revamping my outdated family room for a long time as it was overwhelming to think about how to select and coordinate all the colors, finishes, fixtures, and contractors to complete the job. I called Laura Baker from Ready? Set, Sell! and she helped me every step of the way. She had vision beyond anything I could have come up with myself and she pulled this room beautifully, while making it feel a part of the rest of my home. We love our new space and the family looks forward to each opportunity to spend time there. My only regret is that I didn't do it sooner! Laura was fantastic to work with! She did a complete design plan for my home and was willing help step-by-step as little or as much as I needed her to. Her design plan serves as a constant reference book for me to look back to as I change my focus from room to room. In addition to the design plan, I asked her to come back and help me decorate my home for the holidays. Her attention to detail is impeccable and greatly appreciated. She transformed my home from cold and bleak to warm and inviting. As a real estate agent myself, I will not hesitate to refer my clients to Laura. It's obvious that she possesses both excellent taste and knowledge in a variety of interior design styles. No need to look further. You've found the one. 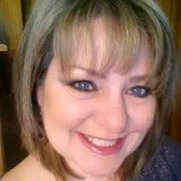 Laura Baker helped me thru the decision process needed when purchasing a new home. I went from a full log home to a home with drywall that needed some tender loving care. With that came the decision of what colors to use and where. She made those decisions much easier at a very stressful time. Thank you Laura! Worked together in another business field. I have known Laura Baker for over 15 years. She was then running a child care business. I visited her program 3 times per year as a consultant on the Federal Child Care Food Program. The first thing that comes to mind when I think about Laura was her passion for her work and her creativity. She had good communication skills and was good with people. She also took the requirements of the program very seriously. I am sure the same would all be true in her new business. 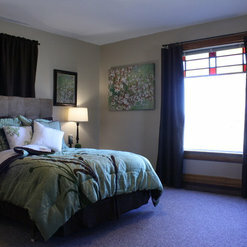 Laura Baker did a fantastic job staging our home for sale. It sold in 1 month in a so so market. She did a complete redue of our 25 year old home. 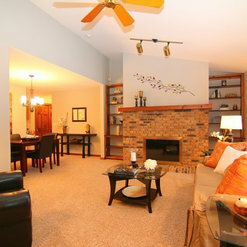 Including paint carpet and light fixtures. She did it all at a reasonable price. The house looked like a model home. She is honest and responsible. 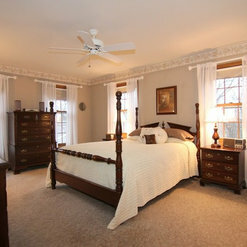 The house was staged, sold and the furniture removed in a professional manner. I was worth the effort and cost. Laura did a fabulous job staging my home. I had already moved out, and Laura provided me multiple estimates for amount of work requested. I had not used a stage before, so Laura helped by giving her professional experience (which was not necessarily spending the highest amount of money, kudos to her!) Laura and her team were very professional, timely and thorough, throughout the project and after. I highly recommend "Ready? Set, Sell.."
Laura was great to work with! She is respectful of the home owners. She was able to tour the house and assess the best plan to stage the house for sale. The pictures for our lising are amazing. She used as much of our furnihsings and decor as possible while offering things she had that fit well into the plan and limited purchases as much as possible. 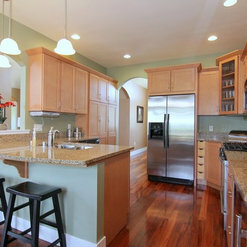 It made our home easier to keep clean and in order for open houses and showings. I would definitely recommend Laura and Ready? Set, Sell! (and have already!) Well worth the money spent! Having known Laura Baker for years, great work ethic and commitment so it has been easy to refer her to my Clients and Customers. 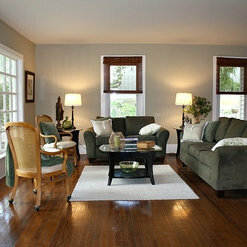 She has done staging and color consults for my clients. Because she offers several levels of service my clients can complete a To Do List or do Full Services as they all seem to find the Value she brings to the table. Laura helps bring the properties to life and magazine ready as I like. The photographer comes and between them create the best presentation of the home for me to work with. The more she has her hands on the project, the sooner it sells so more money in my Clients pockets. Having rave reviews about her from my clients, how much they enjoy working with her and how many who wonder why they did not do this just to enjoy living in it once transformed, I am only reminded that I would always recommend Laura Baker, Ready Set Sell to do the Top Notch Job she has continued to show me. 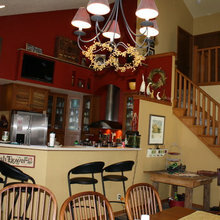 Lighting Solutions ~ Freidel Ave, Cambridge WI, Ready? Set, Sell! 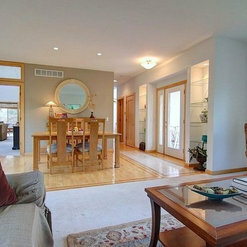 Commented: Love this look- and your local!One of my favorite homes to work on to date! I fell in love with this one. And yes, I am local! I just finished a cottage in Lake Mills as well (photo's coming soon! ).